China. Legendary setting for the adventures of Marco Polo, Genghis Khan, and other larger-than-life historical figures. 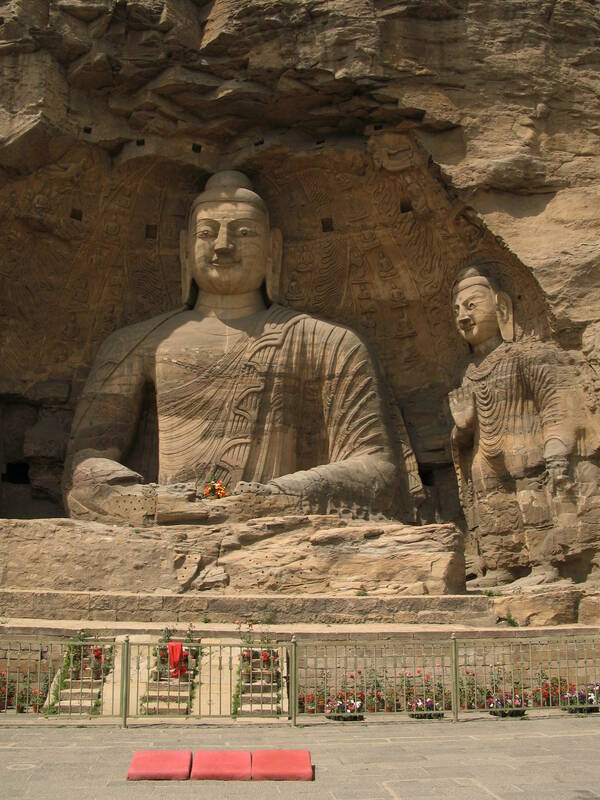 This “Far East” country, at press time the most populous in the world, is the starting point for the Silk Road, watercourse for the Yangtze River, site of the Great Wall and of vertiginous karst hills that doubled as Wookiee land in the Star Wars films, and location of what is currently the largest city in the world (Shanghai). 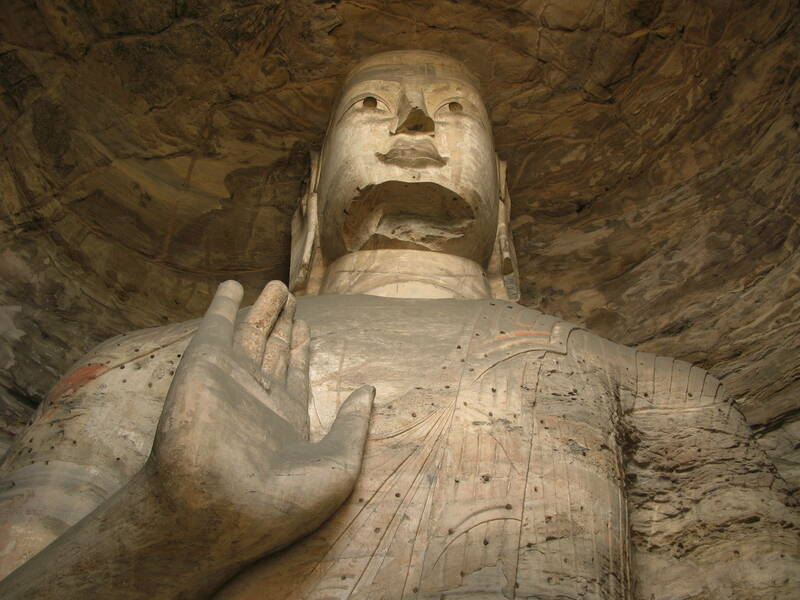 China features more points of touristic interest than perhaps any other place on earth. 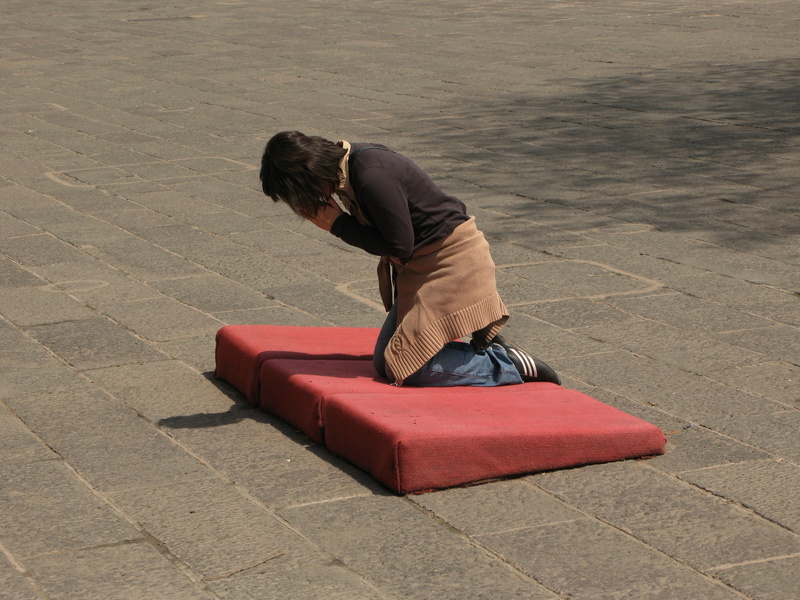 Most travelers make it to Beijing, Shanghai, Xi’an, and Hong Kong. 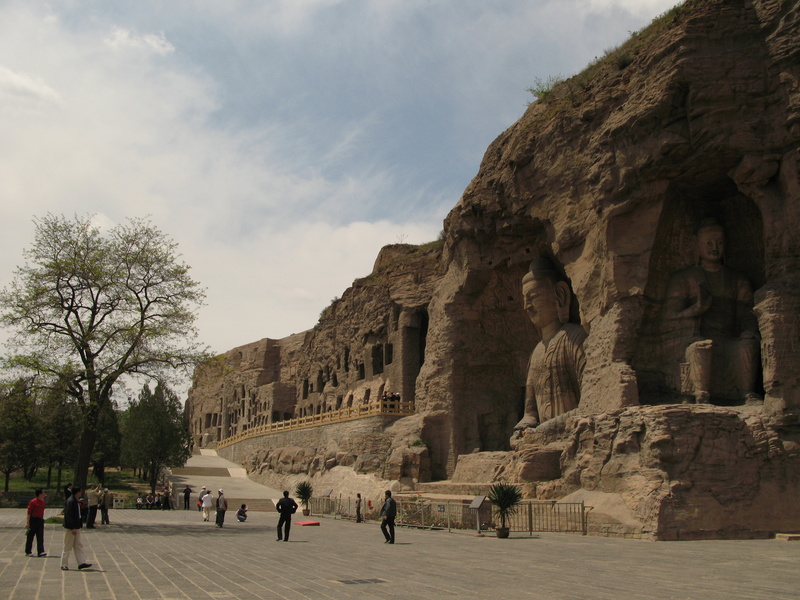 Fewer, though, make it to Shanxi Province. 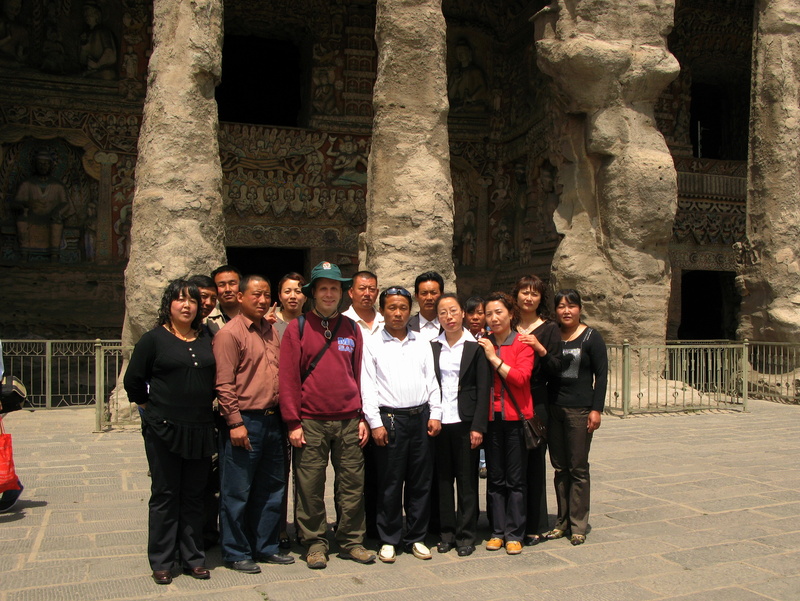 Datong, an industrial city of 3.3 million people, is the gateway to Inner Mongolia. It is an overnight train ride (or one-hour flight) from Beijing. 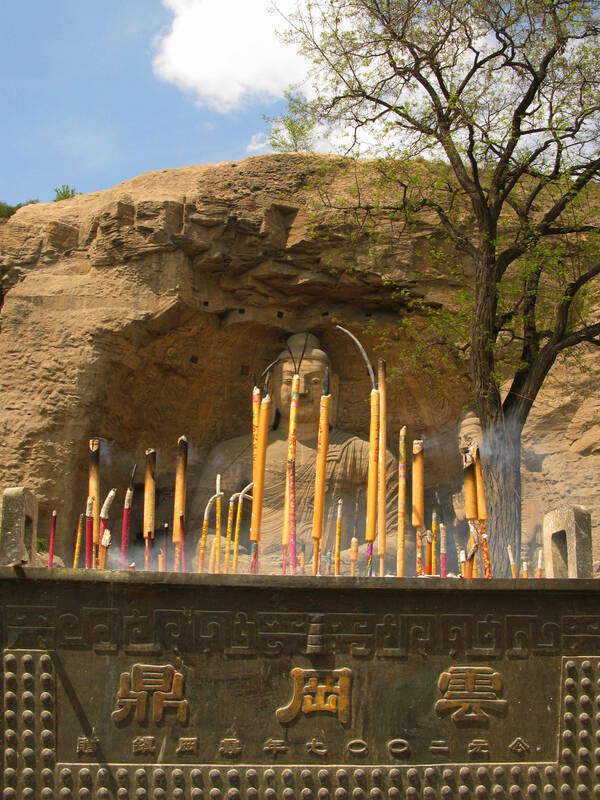 The city’s western outskirts are home to one of the country’s most remarkable sites: the Yunggang Caves. 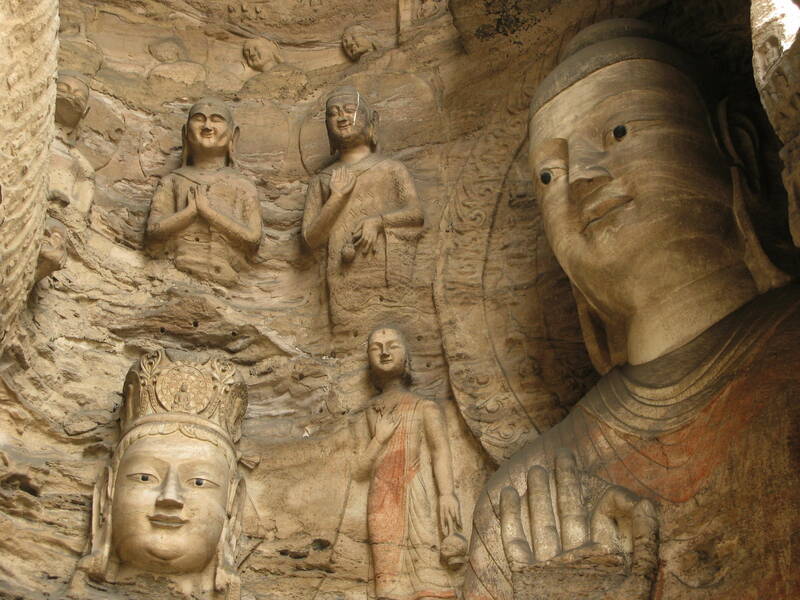 Over 50,000 Buddhas, some large but most rather small, are carved into the shallow cave walls. Historians estimate the figures to be roughly 1,000 years old. 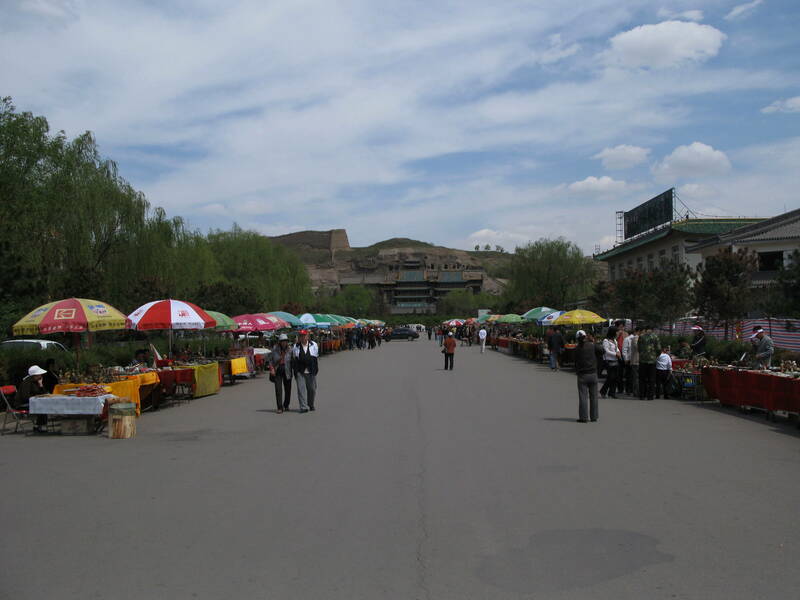 The approach to Yunggang Caves is lined with the requisite hawker market stalls. I found the offerings at the hawker stall above to be quite unique. 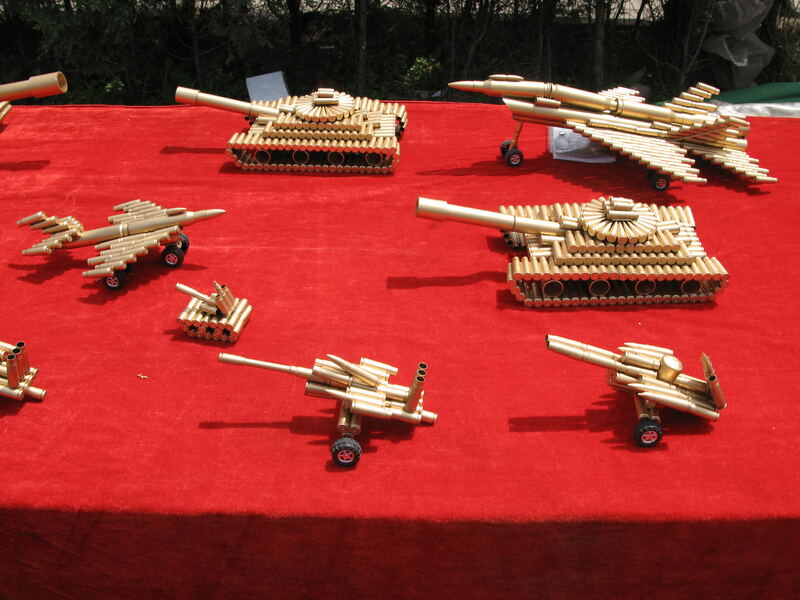 I didn’t purchase any bullet-tanks, however, for fear that they would be confiscated from my luggage. …while others are pockmarked, and barely resemble their original form. 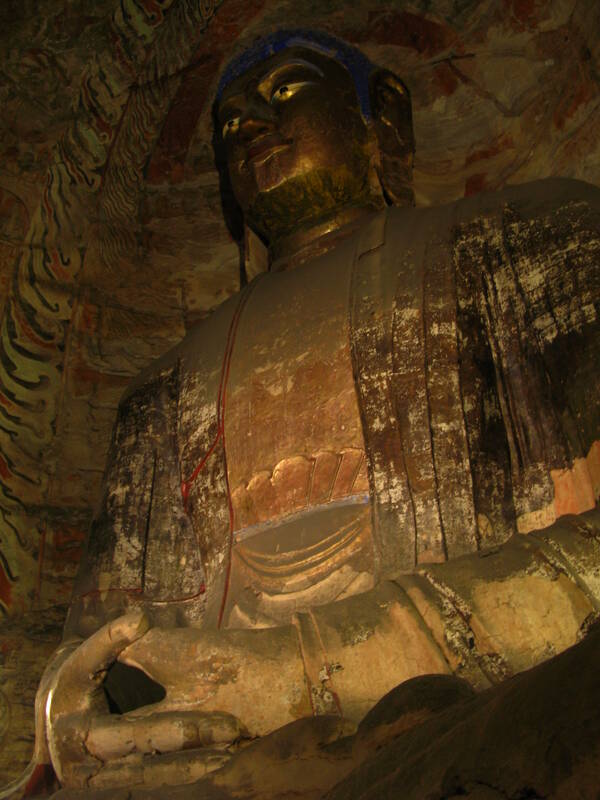 The largest Buddha sculpture, more than seven meters (22 feet) tall, has prayer mats facing it. This is Suzi. Chinese name: Wang Qian. The above close-up reveals the detail and the aging. 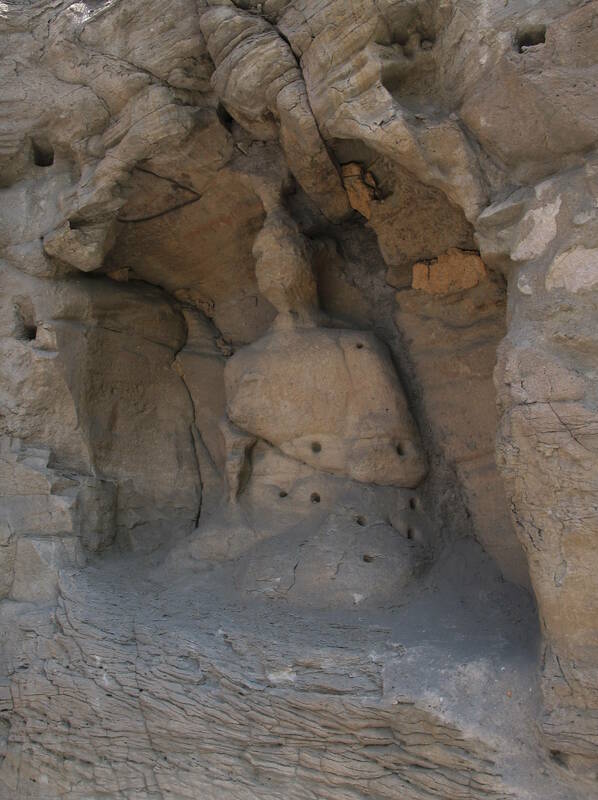 Buddha’s hands have basically eroded away. 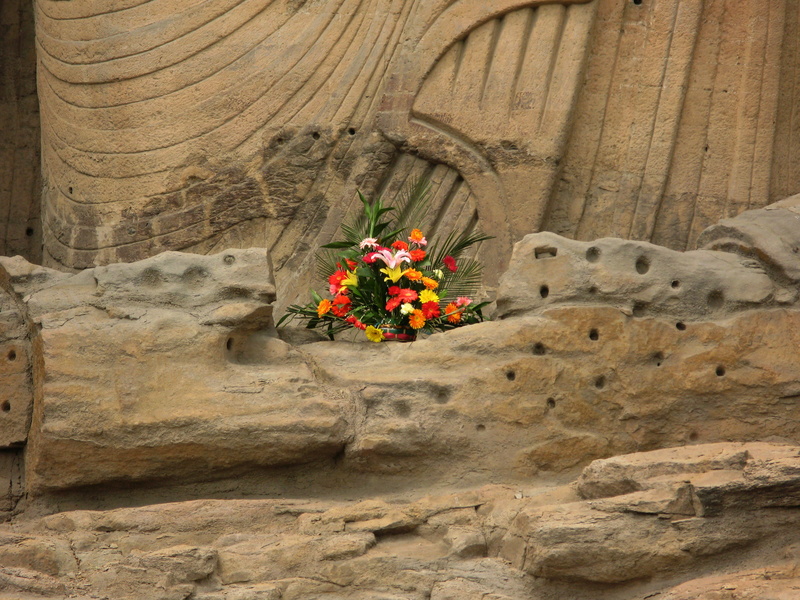 I don’t fully understand Buddhism, but wherever there is a Buddha sculpture there is usually incense, along with offerings of fruit – typically oranges.